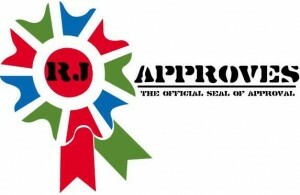 THE 100 SECOND sVMOTION TIMEOUT | RJ Approves This Message! 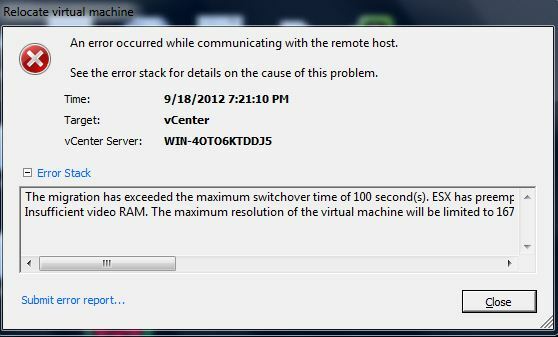 In my lab I was moving many virtual machines around and got this error. This happens when a Virtual Machine with many disks is unable to complete Storage vmotion. In my case, I had a high latency FREENAS box hosting iscsi luns and in an attempt to rebuild it, I was moving many machines to local hypervisor disks. Remember that storage vmotion requires time to open, close and process disks in its final copy phase. So storage vmotion working on many disks will timeout because of this over head. So basically, large number of operations occurring on the same datastore will cause it to timeout. Remember if you are manually editing the .vmx file, power off the virtual machine, remove it from the inventory – modify the .vmx file and then re-add it to the inventory.